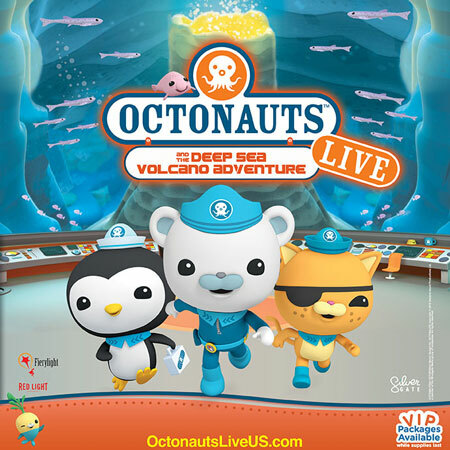 Win Tickets + Grand Prize of 4 VIP Party Packages to an Octonauts Live Show Near You! Octonauts Live will be touring the U.S. this Fall visiting more than 60 cities nationwide! Don’t miss your chance to see Captain Barnacles, Lieutenant Kwazii, Medic Peso and all their friends when they come to your town. Enter below to WIN tickets and a grand prize of 4 VIP Party Packages to an Octonauts Live show near you! Share the fun!